I have never had a good experience with a moving company, until I found Booth! The entire team, from the customer service/sales employees to the physical movers themselves were incredibly professional, friendly and great to work with. Unlike previous moving companies I have used, I never got a sense that they were taking advantage for more money, falesly advertising their pricing, or running the clock longer than necessary. 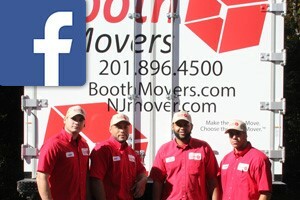 I will be recommending Booth to all of my friends/family who are in need of movers. Would give Booth 6 stars if it was possible, they are simply the BEST! !